Are you a Cleveland Browns fan? Well hopefully you answered “No,” because this season for the Browns has been a very bad one, to say the least. So far nothing has seemed to go the Browns way and they have not won a game so far this season. 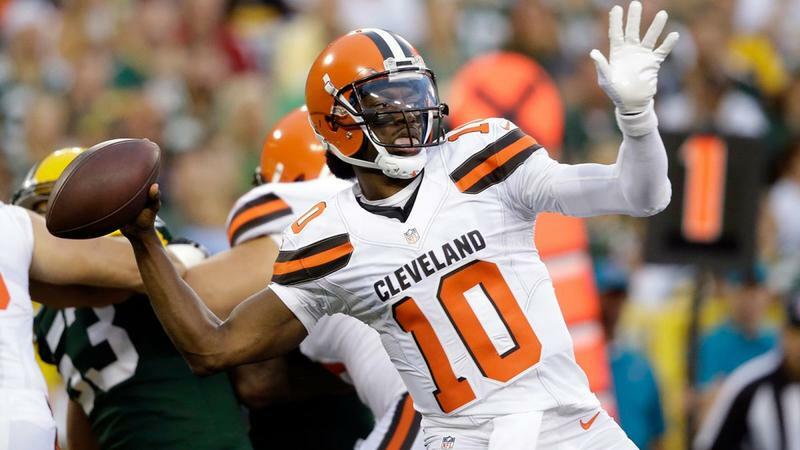 Most analysts have said they don't expect the Browns to win at all this year, but that changed this week when the Browns announced that they would start Robert Griffin lll this Sunday, against the Bengals. Griffin has been out all year due to injury and the Browns have felt the effects by having to start multiple quarterbacks over multiple different games. It is definitely too late in the season for the Browns to do anything significant, but all they want to do is win one game this year. The best shot the Browns have to win a game is by getting their starting quarterback in the starting lineup. It would be a huge morale boost for the team to see Griffin on the field this coming Sunday, under center. Griffin's start with the Browns this season could go down as the worst start on a new team in NFL history. He injured his shoulder in week 1, sidelining him until this point in the season. The Browns are the worst team in the NFL this year and surely will get the number 1 overall pick in next spring’s NFL draft. If Griffin can come in the next few weeks and play some solid football, and maybe even win a game or two, that will be huge for himself and his team. If he gets out on the field and does not perform well, then the front office of the Browns will surely be thinking about which college quarterback they can get with the number 1 pick next year. 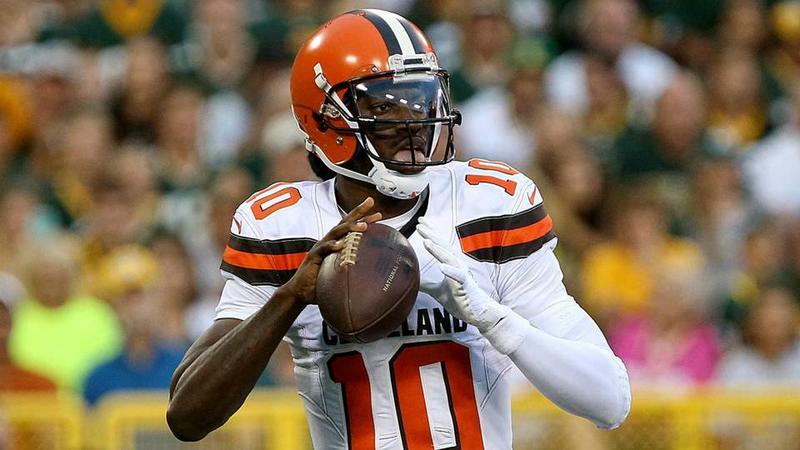 In his lone start for the Browns, Griffin completed 12 of 26 passes for 190 yards and an interception. He finished the game with 37 yards rushing and a passer rating of 55, in what was an underwhelming debut for his new team. His team needs him now more than ever, just for a spark, which they have wanted since week one of the season. Griffin is in the first year of a two-year deal with the Browns. With a cap hit of $9.25 next season, RG3 will have to prove he’s capable of staying healthy and playing well in the final four games. If the Browns are going to keep him on the team next year, he will have to prove to them that he is worth the money. At least this finally gives Browns fans everywhere something positive to talk about, leading up to this Sunday's divisional game against their rival, the Bengals. One thing for sure is that Griffin cannot do any worse than the previous Browns quarterbacks this season. Josh McCown has played the majority of the last two games, with Cody Kessler injured. In those games, he completed 55.7 percent of his passes with two touchdowns and zero interceptions.